The International Association for Media and Communication Research -IAMCR- and the Urban Communication Foundation are pleased to announce that the 2017 UCF/IAMCR Urban Communication Research Grant will be awarded to Andreas Papallas, a Research Associate at the Cyprus University of Technology, for his project Using Social Media Communication to Detect Patterns of Urban Segregation and Aggregation within Contested Cities. An honorary mention was awarded to Chamee Yang, a doctoral candidate in the Institute of Communications Research at the University of Illinois. Andreas Papallas' project proposes that introducing social network data to the study of public space use can produce new insights into the complex relationship between the spatial and social dimensions of space within multi-ethnic contemporary cities. The mechanisms involved in the ways ethnic groups use the public space of the city centre and the interface between them (or the lack of it), lies at the heart of this project. Novel methods and tools are proposed to explore location-based services (LBS) of online social networks and the significance of the new types of user-related spatiotemporal data. A spatial analysis of the aggregate activity generated by such networks has shown how social activity in a city is distributed, revealing fine-grained spatial patterns evident in the social life of the divided capital of Cyprus, Nicosia. This proposal brings an ICT approach to understand the complexity of the urban environment, urban cultures and communities, especially in cities rife with social and political upheavals where other means of analysis is not possible. Explore the relationship between various spatial characteristics of the segregated city with the coexistence of multi-ethnic groups. The project is a continuation of earlier research work done by the applicant in Nicosia during his postgraduate studies at the University of Cambridge in collaboration with the University of Cyprus (Charalambous, et al., 2016). 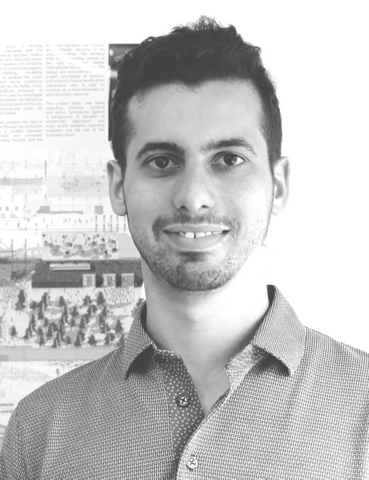 The IAMCR/UCF research award jury praised Andreas Papallas for the innovative nature of the research project "In focusing on the spatial aspects of communicative practices, in particular in relation to the social life of the divided capital of Cyprus (Nicosia), the jury considers this project an exemplary case of urban communication research. The project description is also characterised by high levels of clarity in outlining a promising mixture of methods. With its theoretical basis on discussions on segregation and aggregation, the research project will contribute to urban communication studies, conflict studies, political studies and several other academic fields." This year the selection committee will also awarded an honorable mention to a project by Chamee Yang, a doctoral candidate at the Institute of Communications Research of the University of Illinois. Yang's project offers an ethnographic point of view from a non-Western context of South Korea, a country that has had a long history of authoritarian and developmental government. Taking this historical specificity into account, the research examines how different cultural sensibilities regarding security, privacy, and government has shaped a unique formation of Smart City in Songdo. The project also provides a preliminary explanation of how the major Korean “smart city- initiative” has intersected with Korea’s modern history of development, politics of technology, and popular desire for mobility and advancement. The award jury noted that Chamee Yang's proposal, "aims to contextualise the positioning of Songdo (in South Korea) as a smart city. The jury appreciates Yang's ambition to critically question the techno-optimistic narratives that celebrate and universalise the smart city. Moreover, the jury is impressed by the theoretical span of the project, its broadened perspective on mediality and its ethnographic backbone." Andreas Papallas is a Research Associate at the Cyprus University of Technology. He studied Architecture at the University of Sheffield and Architecture and Urban Design at the University of Cambridge where he graduated with distinction for his thesis ‘Urban Rapprochement Tactics: Stitching Divided Nicosia’. His research interest lies in evaluating, analysing and visualising complex urban conditions in relation to urban conflict, social inclusion/exclusion and urban segregation. Chamee Yang is a doctoral candidate at the Institute of Communications Research of the University of Illinois at Urbana-Champaign, USA. Her multidisciplinary research interests include media and cultural studies, urban studies, critical theory, and science and technology studies (STS). She is currently working on her dissertation project, Remapping Songdo: Ethno-historiography of the “Smart City” in South Korea, in which she critically examines the historical underpinnings and spatial formations of Songdo Smart City in the backdrop of post-developmental government of South Korea.